Research * Regulation and function of cyclic nucleotide phosphodiesterases in the cardiovascular system. Dr. Yan was born and grew up in Shanghai, China. She received her Bachelors and Masters degrees in the field of Biochemistry and Genetics, respectively, from Fudan University, Shanghai, China. Her PhD research was done in the lab of Dr. Joseph A. Beavo in Department of Pharmacology at the University of Washington in Seattle, WA USA. Her postdoctoral training was done with Dr. Bradford C. Berk in the Cardiology Unit of the University of Washington. 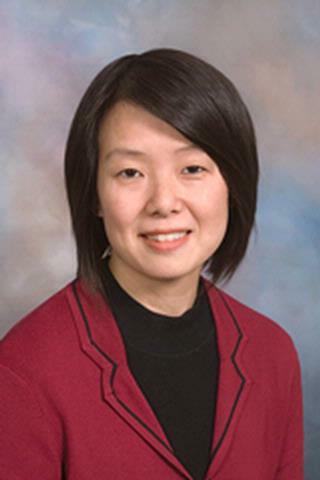 Currently Dr. Yan is an associate professor in Aab Cardiovascular Research Institute, University of Rochester, School of Medicine and Dentistry. Her research focuses on a family of enzymes called phosphodiesterases (PDE) that degrade second messengers, diffusible signaling molecules that are rapidly generated and activate proteins within the cell to exert a cellular response. By inhibiting PDEs one can amplify cellular responses. One successful example is Viagra, which inhibits a specific PDE. Altered second messenger signaling and PDE activity/expression have been implicated in a variety of cardiovascular diseases such as hypertension, atherosclerosis and heart failure. Understanding the role of PDEs in cardiovascular diseases may provide new therapeutic information for the treatment of cardiovascular diseases. To date, Dr. Yan has published over 80 research and review articles and has recently received an American Heart Association Established Investigator Award. Dr. Chen Yan received her Bachelor of Science degree in Biochemistry in 1983 and Master's degree in Human/Medical Genetics from the Fudan University in 1983. She received her Ph.D. degree in molecular pharmacology from the University of Washington (UW), Seattle in 1996 and performed her postdoctoral training in molecular cardiology, also at UW. She was recruited to the University of Rochester as a Research Assistant Professor in December 1998. She currently is a assistant professor. Shanghai City Honor (Sanhao) Student (top 0.1% students who display the overall well-roundedness). Received this award for three consecutive years. Honor (Sanhao) Student of Fudan University (top 2% of students who display the best all round development of morality, intelligence, and physique). Received this award for three consecutive years. Zhang F, Yan C, Wei C, Yao Y, Ma X, Gong Z, Liu S, Zang D, Chen J, Shi FD, Hao J. "Vinpocetine Inhibits NF-?B-Dependent Inflammation in Acute Ischemic Stroke Patients." Translational stroke research.. 2018 Apr 0; 9(2):174-184. Epub 2017 Jul 09. Jiang D ; Zhuang J; Peng W; Lu Y; Liu H; Zhao Q; Chi C; Li X; Zhu G; Xu X; Yan C; Xu Y; Ge J; Pang J. "Phospholipase Cg1 mediates intima formation through Akt-Notch1 signaling independent of the phospholipase activity". J Am Heart Assoc. pii: e005537. PMCID: PMC5663637. 2017; : 6(7). Wu M, Zhang Y, Xu X, Zhou Q, Li J-D, Yan C. "Vinpocetine Attenuates Pathological Cardiac Remodeling by inhibiting Cardiac Hypertrophy and Fibrosis." Cardiovascular Drugs & Therapy. 2017; 31: 157-166. Chapter Title: Regulation and Function of Cyclic Nucleotide Phosphodiesterases in Vascular Smooth Muscle and Vascular Diseases.